The black ‘Infinity’ Calvin Klein tuxedo coat is all these things and more. 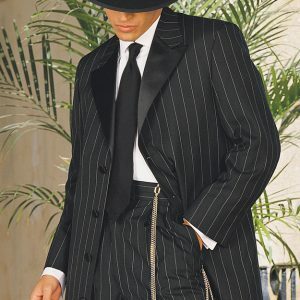 This incredible tuxedo coat features a two button single breasted front, satin peak lapels, satin besom pockets, and is fashioned from a luxuriously soft black super 100’s wool with a thin white pinstripe. 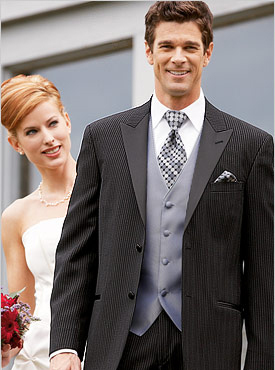 The black ‘Infinity’ tuxedo coat lives up to its name with memories you’ll never forget. 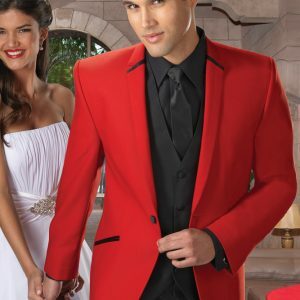 Arrive in style for your prom, wedding, cruise, or other formal event!